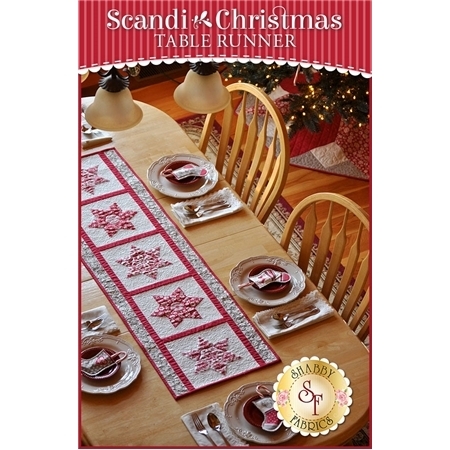 Warm up your home this holiday season and spread the cheer with this darling Scandi Christmas Table Runner! To coordinate your entire home, you can also make the Scandi Christmas Wall Hanging. 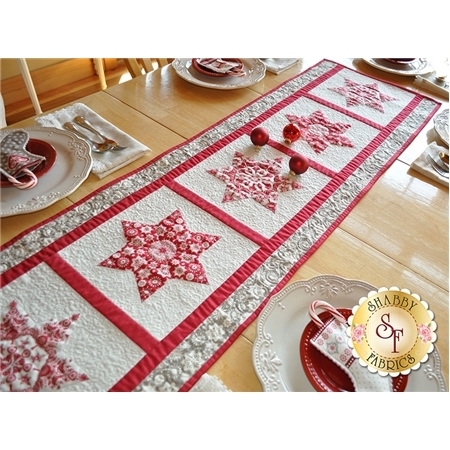 Table Runner measures to approximately 16" x 52". 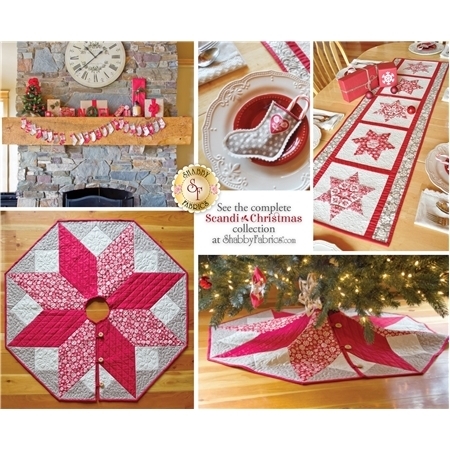 The kit will include the pattern, all top fabrics needed to complete the table runner, sashing, borders, binding, the 2½" 6-pointed Star Paper Templates, and BACKING!